Being the third sign of the Zodiac, Geminians prefer exploring everything that surrounds them by using their wits and intelligence, unlike the previous sign, the Taurus, which prefers using a rather physical and direct approach. 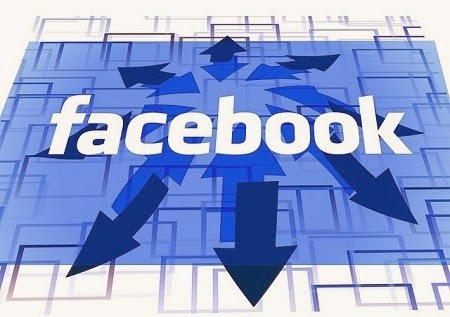 The great communicators that they are, Geminians prefer having all the information possible, and this tends to help them be highly expressive and imaginative. Smart and sharp-minded, Gemini love to learn. Being the third sign of the Zodiac, Gemini rules the House of Communication. 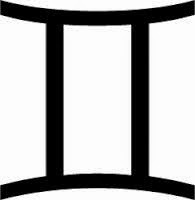 The assigned astrological symbol of Gemini is the Twins—this can be explained by the dual-nature of the Gemini. This gift gives them the ability to see both sides of problems, but this can also result in them being unsteady, capricious, and unreliable about their commitments. However, Geminians adapt easily and have great multi-tasking skills, even though, their thinly spread attention makes them sometimes appear as ungrateful or superficial. Geminians are great negotiators and are analytical and adaptive, but their varied interests are usually left undetailed, exactly the opposite of the philosopher Sagittarius. The ruling planet for Gemini is Mercury, who in ancient Roman mythology was the Messenger God. He was a traveler, a communicator, smart, and inventive, but known for his sensitivity with words and the fact that he got bored easily. Besides Gemini, Mercury also rules Virgo. From this perspective, Mercury is masculine and represents the day, and Virgo is feminine and represents the night. But neither of the signs rule based on emotions—they are both practical and vocal. Unlike Virgo, Geminians understand communication as simply the key to learning and keeping people close, whereas Virgo focuses more on analyzing what others are saying and not truly understanding them. The communicator role that Mercury has is perfectly identified with Gemini: People born under the influence of this sign are sympathetic and charismatic, and most of the time, they are surrounded by friends in all aspects of their everyday lives. Also, sometimes, their outgoing nature can be misunderstood: Rather that friendly and adaptive, they may seem gossipy and opportunistic, and their wanting to know everything about anything may lead others to consider Geminians shallow and unable to make decisions. The Geminian’s secret to success is learning to focus on what really matters. 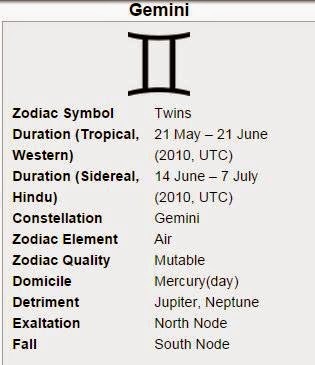 Gemini’s element is Air. Air signs are cerebral and practical, responding to outside stimulus with their intelligence rather than physical or emotional action. New group projects are highly motivational for them, showing their abilities, even if they are not the sign of leaders. Their abstract and objective thinking and “out of the box” views make Geminians valuable team members, all contrary to the fact that to some they may seem cold and unrealistic. Geminians have an outstanding love of knowledge, and a bit of caution and attention can be of great help to them. Just like the Twins, Gemini is a sign of communication and relationships. Those born under this sign are most of the time cheerful and enthusiastic, loving to travel. 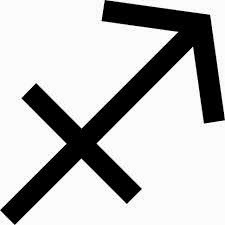 Geminians tend to be more ambidextrous than other signs, and this complies with their dual natures. Also, the fact that they show interest in multiple areas makes them wonderful conversation partners, even if at first sight they may seem restless and superficial. Geminians love company. They like playing games, and the fact that they are great chatting partners makes their time spent with friends a wonderful time, and their passion for knowledge means that they will engage with great pleasure in a more mentally-challenging conversation as well. Concerning their love relationships, Gemini are nurturing, provocative, and playful. The astrological sign of the Gemini rules the collarbone, the arms and hands, lungs and nervous system, resulting in wrist problems (carpal-tunnel syndrome), respiratory distress, and nervous conditions more often than other signs of the Zodiac. The distinctive colors of Gemini are yellow and light blue. The major advantages of the Geminians are their intelligence, along with their conversational skills. 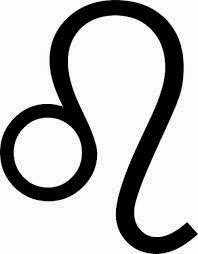 The fact that they can deal with difficult problems and are great team-players, along with their multilateral interests make Gemini one of the most interesting signs of the Zodiac.